Registered nurse schools in Connecticut equip aspirants with the competencies, values, skills and knowledge, in order to promote optimal health. These programs also enable students to apply sound nursing judgment and critical thinking in delivering safe and competent care. After completion of the coursework, you will get well-acquainted with how to exhibit professionalism and accountability while complying with the ethical principles of the nursing career and the nurse practice act. The most important thing to keep in mind while enrolling for an RN program program is that it should be approved by the Connecticut State Board of Examiners for Nursing. 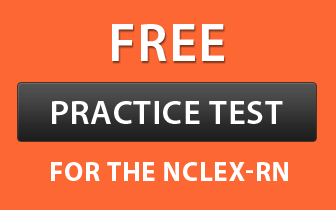 If you pursue program from a non-accredited program, you will not be considered eligible to sit for the NCLEX-RN exam. Moreover, the whole time and expenses spent on program will be waste. All aspirants must meet the below mentioned eligibility criteria to seek admittance in an RN school. In order to apply for an RN program, you must be compulsorily of 18 years or above. It is mandatory for an aspirant to complete his/her high school education or he/she must submit the GED certificate. It is essential for the candidate to score 75% or above in English language and 80% or above in Math. The student must provide level one fingerprint clearance card. The candidate also has to deposit his/her photo identification. It is obligatory for the students to clear the drug test and criminal background check. If any of these found affirmative, the student would be terminated from the current program. The aspirant has to provide his/her complete residency verification form. A legitimated e-mail address is required to be provided. The following pathways will help you to become a registered nurse. A candidate can select any program as per his/her preference. Associate Degree in Nursing: The main objective of ADN program is to prepare nurses for entry-level positions in both long-term and acute care setting so that they can attune themselves for the unforeseen challenges in the healthcare sector. The coursework of associate degree covers topics, like humanities, biology, humanities, etc. It takes 2 years to complete the coursework and costs you nearly $40,000 annually. Diploma in Registered Nursing: The program focuses on the fundamentals of nursing. It develops sound judgment skills, critical thinking and professional values among students, which is in demand by today’s healthcare settings. A diploma in registered nursing gets finished in 2 years, and its fee is approximately $10,000 per year. Bachelor of Science in Nursing: BSN degree cultivates a sense of responsibility and accountability, self-awareness, leadership skills as it offers a detailed study of professional nursing and liberal arts that not only involves theoretical education, but also provides clinical experience to the students. The curriculum of this program requires 4 years to complete and prepares students for the NCLEX-RN exam. It costs around $11,558 per year. Accelerated BSN Degree: The accelerated BSN coursework is intended for those students, who have earned a bachelor degree in another discipline. It is a fast track program for those, who are keen to work in the nursing field. The program completes in one year. RN to BSN Program: RNs with an associate degree or diploma can apply for this course. This program helps nurses to hone their working ability and brings more employment possibilities with a heavy paycheck. Apart from the above mentioned courses, some advance level programs are also available that will help you to enhance your intellect and open doors to many career pathways. Master of Science in Nursing: MSN program emphasizes on promotion of health and preclusion of diseases. Students earning master degree learn how to provide holistic and cost effective care to the individuals of all age groups. Doctor of Nursing Practices (DNP): The main objective of DNP program is to prepare healthcare leaders, who are able to translate their expertise and dexterity into practice. It is a high standard academic program that offers practice-focused doctoral education with practical clinical research and scholarship. An aspirant must complete any of the above described coursework to appear for the NCLEX-RN (National Council Licensure Examination for Registered Nurses). After successfully clearing this exam, the student will gain his/her registered nurse licensure. If you wish to become an RN in Connecticut, then you must enroll yourself in a state-approved institute. The under given institutes are accredited by the state of Connecticut.